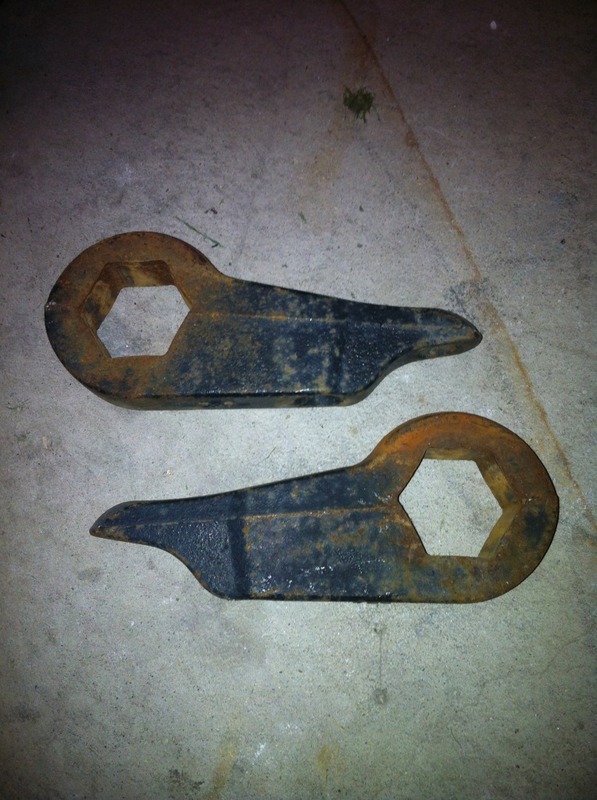 Suspension parts SW ontario/ SE Michigan. Ok, I have some torsion stuff and some coil over stuff I didn't need. First off, two rancho shocks. 35,000kms on them. A couple inches longer then stock, perfect for a tbar crank. $30 plus shipping sound fair? 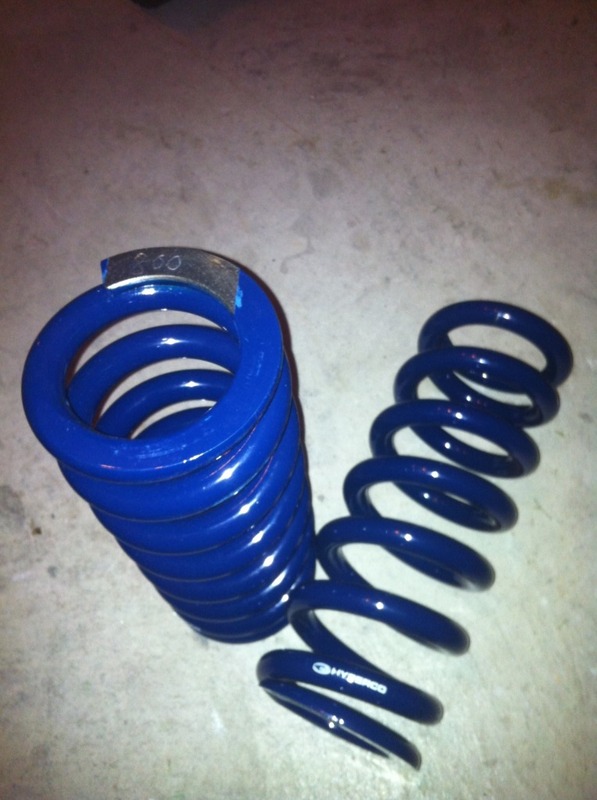 Next is some extra coils that came with the coil overs. 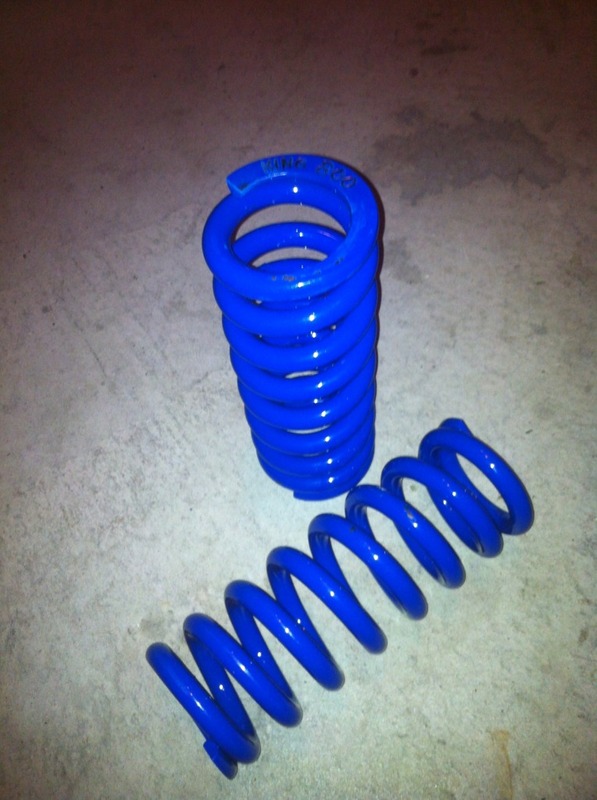 Two sets of 800lb springs, 10" long. One is a pair of king coils with bad powdercoat. The other is a pair of hypercoils. New they are $70 each, I'll ask $50 each. Dark blue is hyper, light or bright is king. Perfect for mockup or if your looking at staying stock height but wanna add metal bumpers or a v8. They will ride stiff from what people have said so make sure you have plans for extra weight. I also have a 1" BL I dot think I'm gonna use. $50. Fits extended cab or reg can with some leftover bushings. As mentioned above I am willing to ship, I will even cross the border and ship from Detroit to save duty/extra shipping costs. Keys sold, bump for remaining parts. 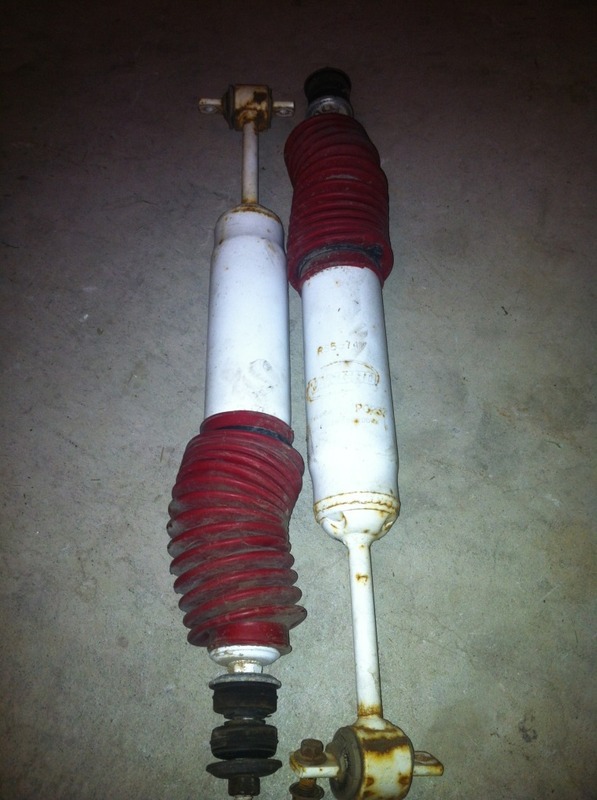 Quick Reply: For Sale: Suspension parts SW ontario/ SE Michigan.